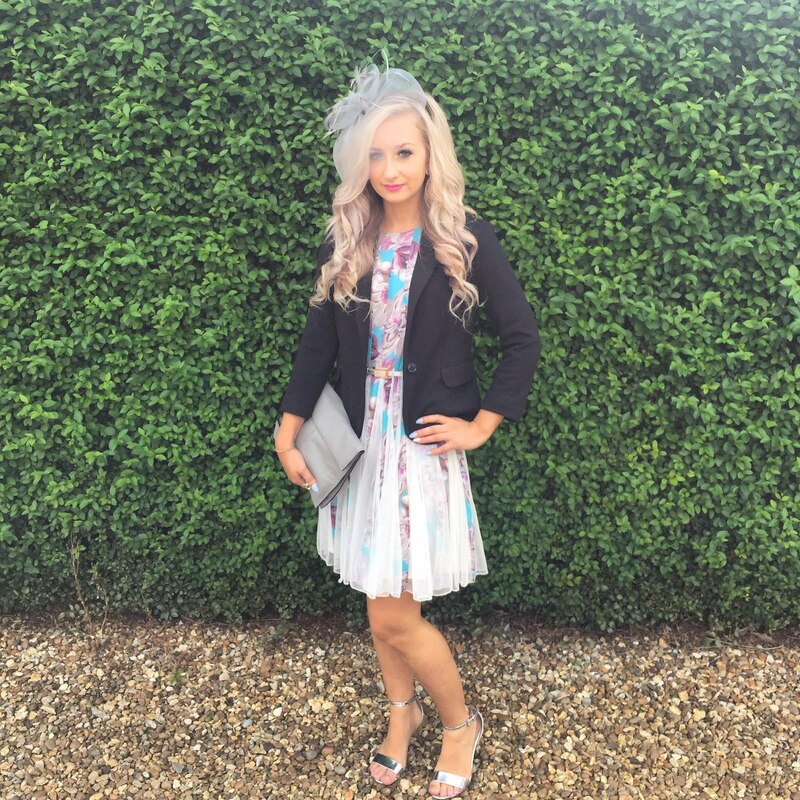 I am obsessed with reading up on this years fashion weeks that are happening at the moment, I just love seeing what colours, patterns and materials will be 'in' this coming season although it does give me an excuse to buy far too many clothes! 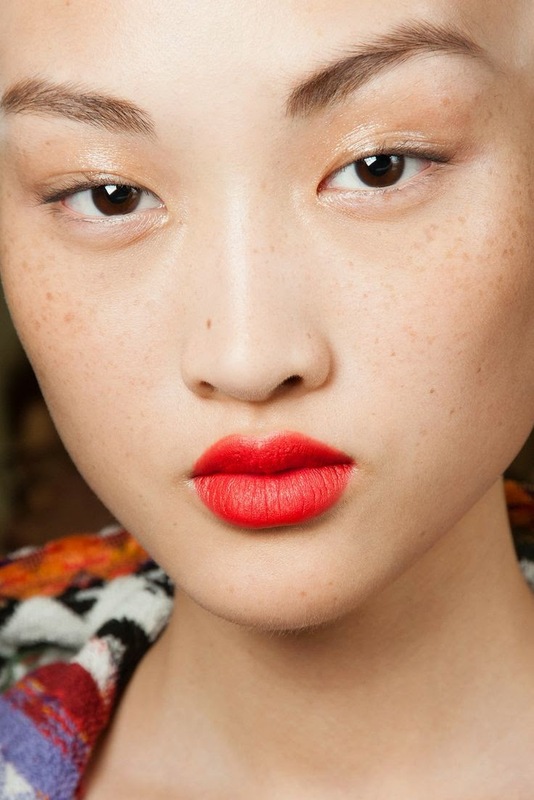 I have noticed that on a lot of the catwalks at fashion week, and in many fashion magazines I have read recently, that a stand out 'Red lip' paired with a fresh natural face and minimal eye makeup is going to be bang on trend this spring/summer. I am not one for wearing red lips that often, for some reason I feel that red lips suit people with dark hair so I have always shied away from them and stuck to more pink and plum shades. 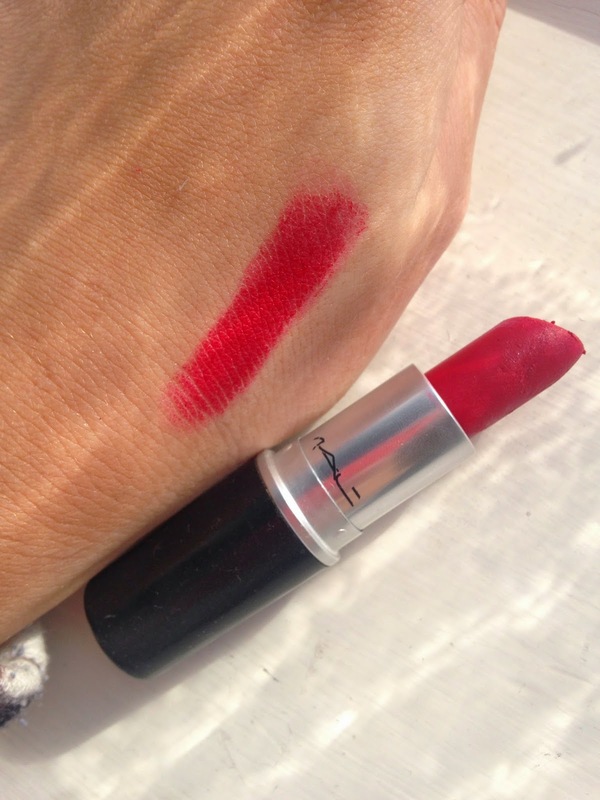 After seeing how on trend they are going to be this year, I have since wiped the cobwebs off my two red lipsticks AND have just purchased another red shade to get used to wearing them and so far, I really have been loving it! 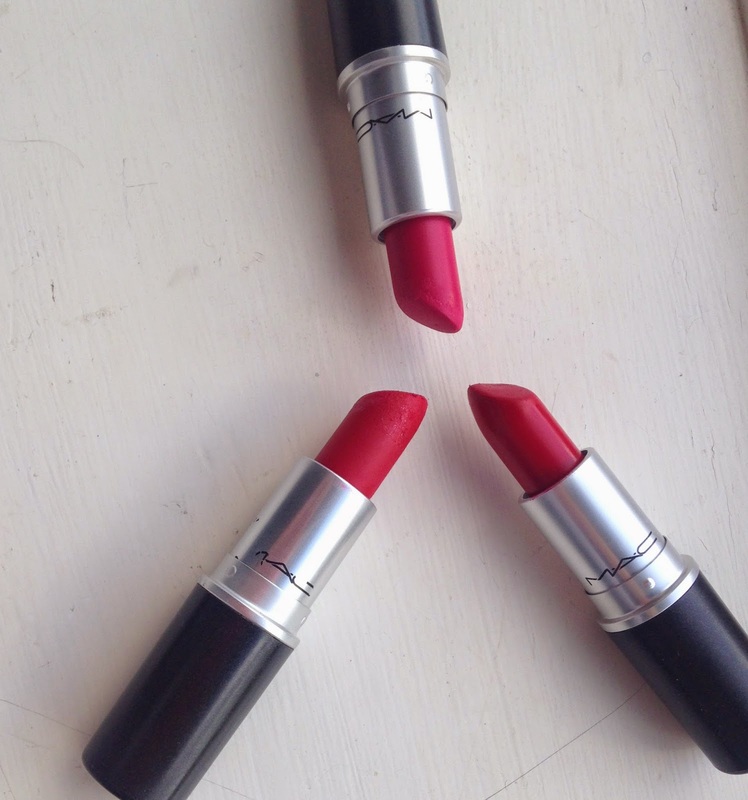 These are the 3 red MAC lipsticks I own, i have decided to only show my MAC ones because they are mine and a lot of other beauty bloggers favourite brand when it comes to lipsticks and I don't tend to wear any other! Im pretty sure their are loads of dupes if you cant seem to get your hands on any of these though. All fired up; Although some people find this to be pink, I believe it is more of a red with a pinky undertone when I wear it. It is a Retro Matte finish so it can be a little drying, but with a good lip balm underneath it looks amazing on anyone. 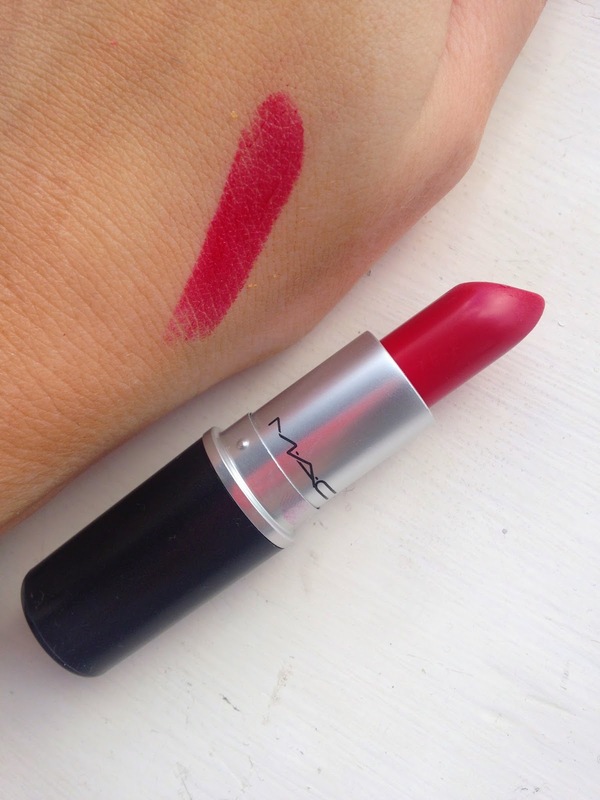 MAC red; This is new to my collection and is a gorgeous bright red in a satin finish so it is easy to apply and has a subtle shine. 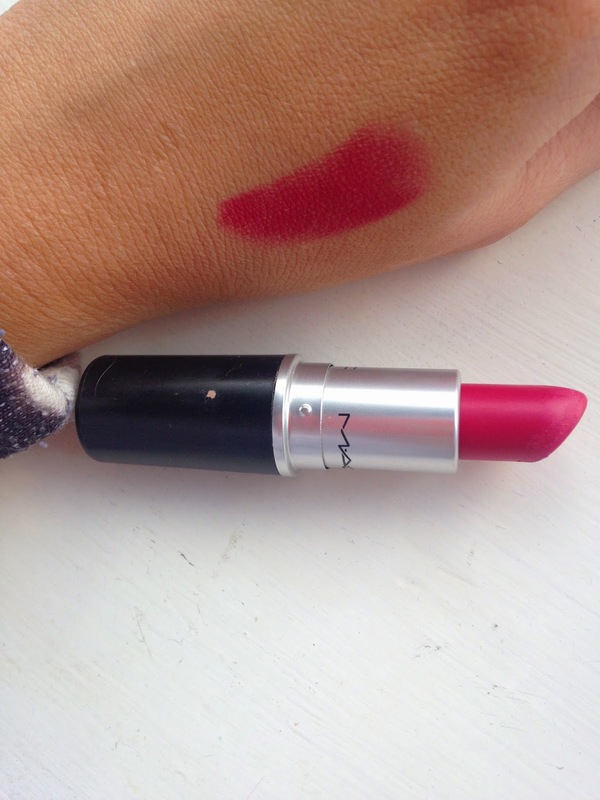 Ruby Woo; My first every MAC lipstick, this is a classic red that everyone needs in their collection. Can be difficult to apply as it is very matte, but applied carefully with a matching lip pencil, it can look flawless. 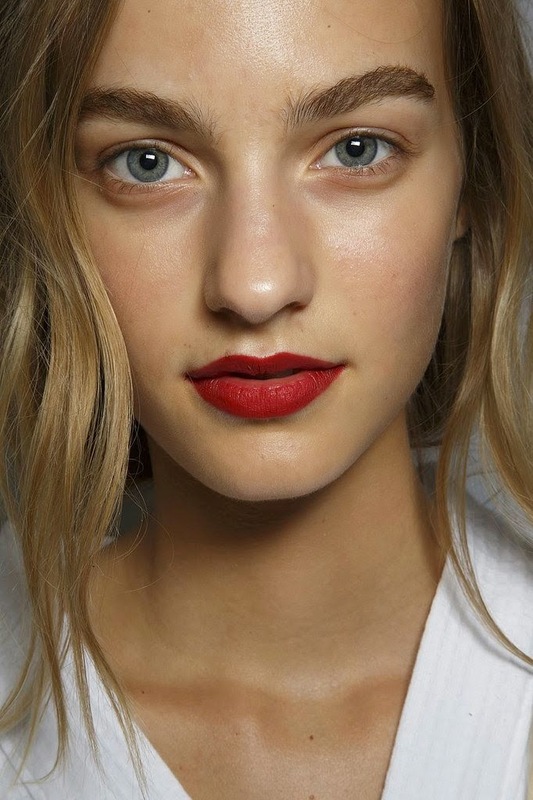 What are your go to red lipsticks? ?